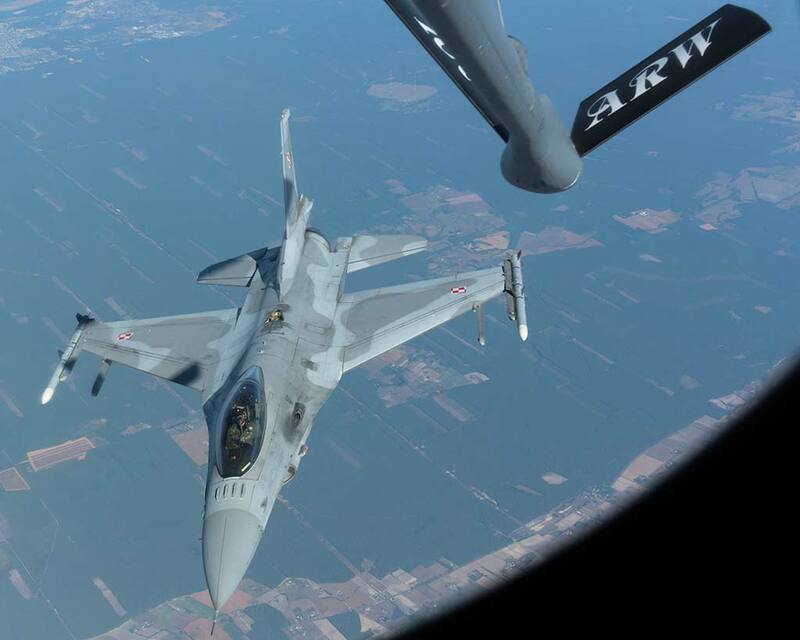 The 493rd Fighter Squadron Grim Reapers assigned to the 48th Fighter Wing at Royal Air Force Lakenheath, England recently completed exercise One Sky over the sovereign skies of Poland Sept. 18 – 20. 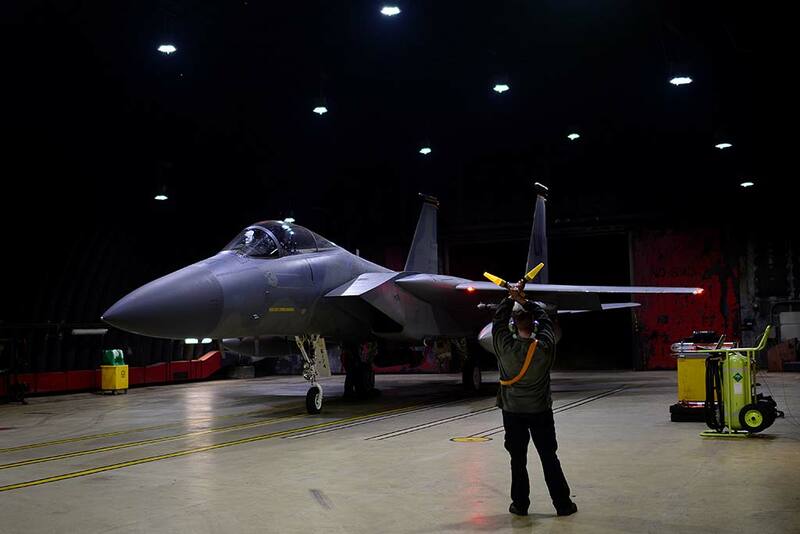 The bilateral U.S., Poland training event focused on exercising rapid, responsive air operations over Poland in the event of a crisis contingency. 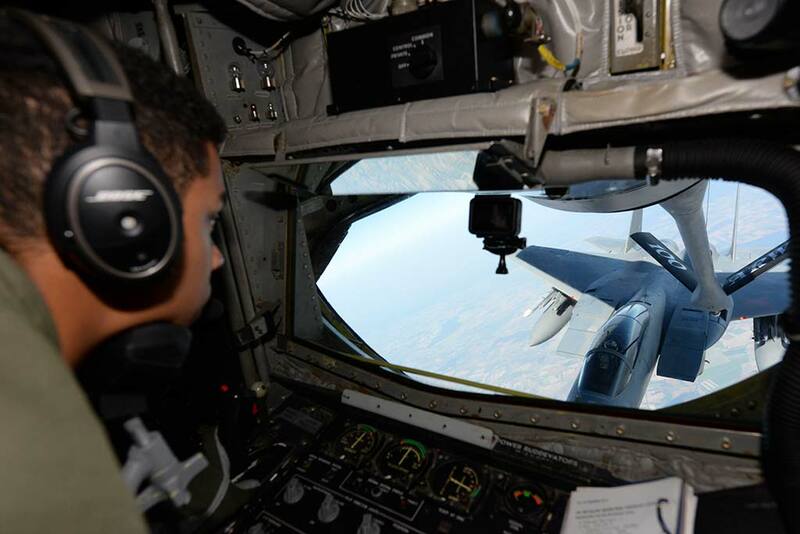 Specific operations included defensive counter-air missions designed to improve interoperability and collective self-defense tactics and procedures. 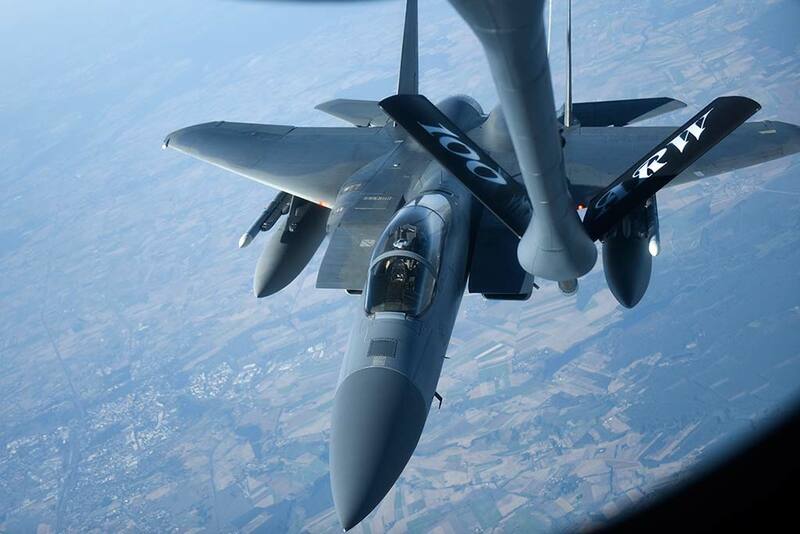 The 48th Fighter Wing was one of six participating military units that included the 100th Air Refueling Wing at RAF Mildenhall, 603rd Air Operations Center, 606th Air Control Squadron, 86th Airlift Wing at Ramstein Air Base, Germany, and Detachment one at Lask Air Base, Poland. 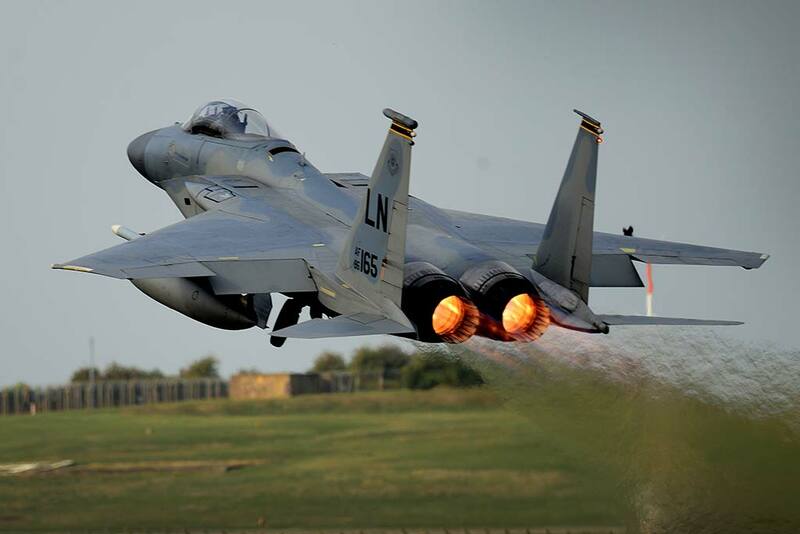 F-15C Eagles launched regularly from RAF Lakenheath throughout the three-day operational training exercise, to extend the combined warfighting capability of the U.S. and Polish air forces.